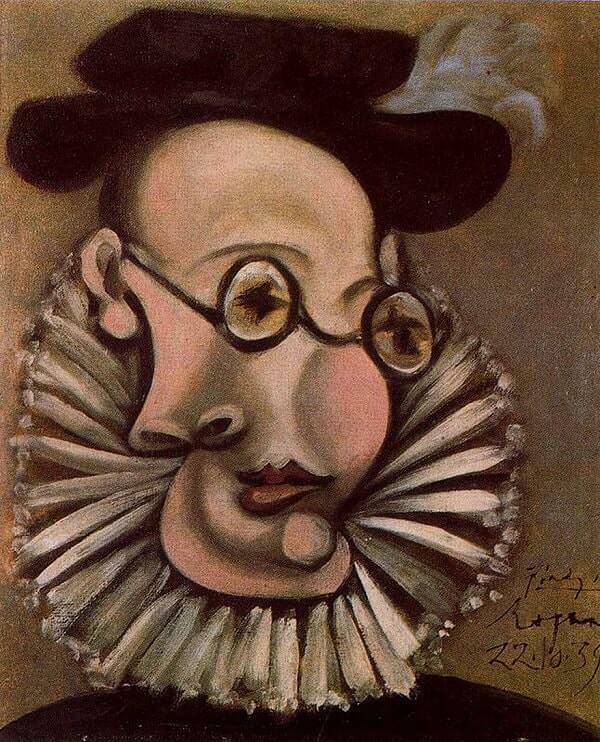 This humorous portrait of Picasso's life-long Spanish friend, secretary and chief legend-monger is a wonderful joke. In 1938, Jaime Sabartes asked Picasso to draw him as a sixteenth-century royal courtier; those original drawings were eventually turned into this oil, painted at Royan. Portraying Sabartes as a Spanish courtier to Philip II is amusing as this was the role he played in the court of Picasso; that of the loyal servant following his master from Paris to Antibes to Royan. Although Sabartes was often represented by critics as a pathetically faithful dog, Picasso no doubt respected and returned his loyalty - albeit in his own fashion.